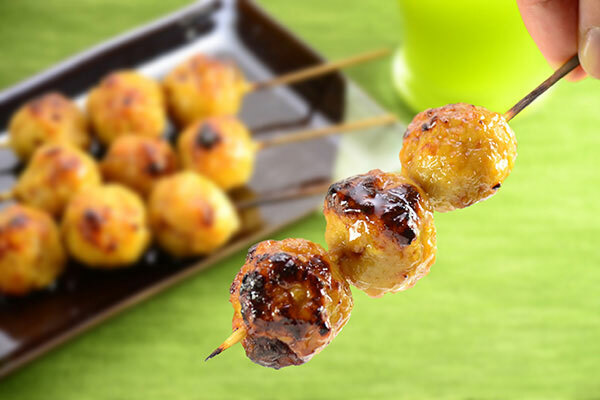 Also called tsukune, this is one of the many popular kushiyaki dishes in Japan. Blanch the meatballs before grilling to hold the round shape. 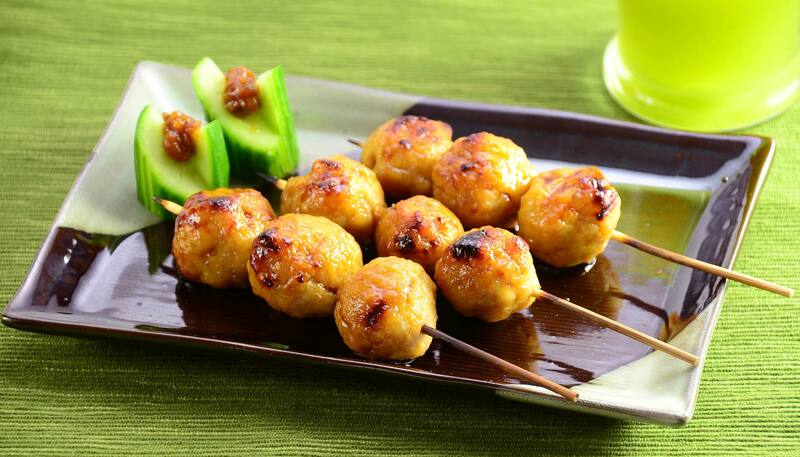 This traditional glaze is sweet and salty, and adds a beautiful shine to the dish! 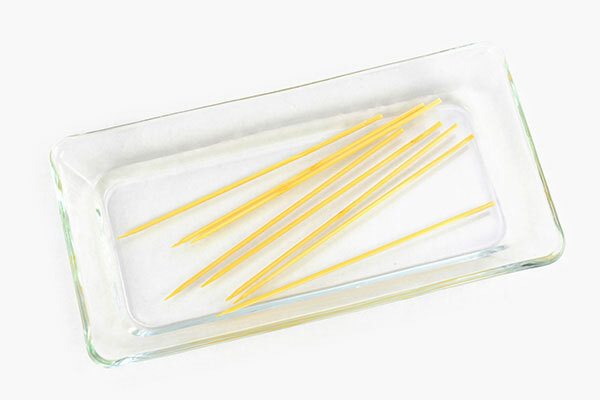 Soak bamboo skewers in water for 10 minutes or more to prevent from burning. Make the glaze. 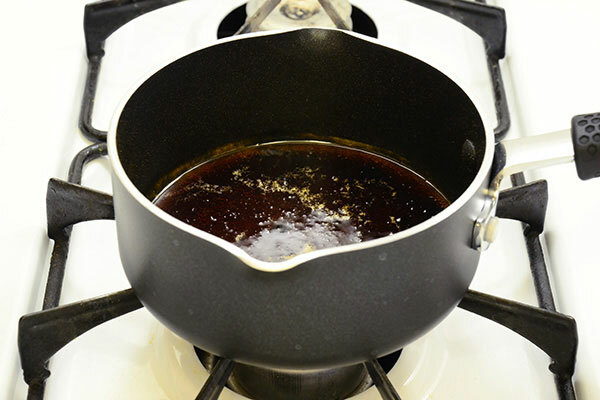 In a small sauce pan, add soy sauce, mirin and sugar. Stir and bring to a boil, then simmer for 4 minutes or until reduced to 1/2 of amount. Set aside. Make the meatballs. 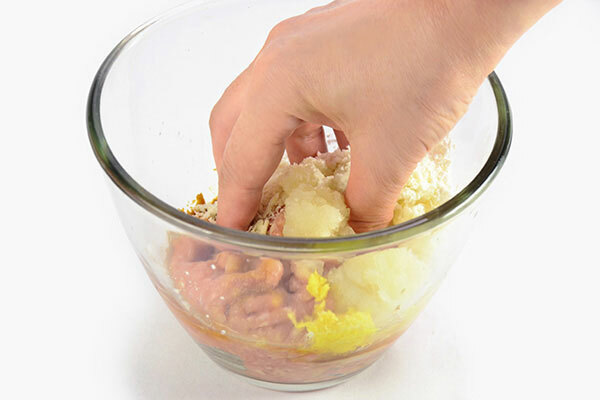 In a bowl, combine all meatball ingredients and mix well with a clean hand. 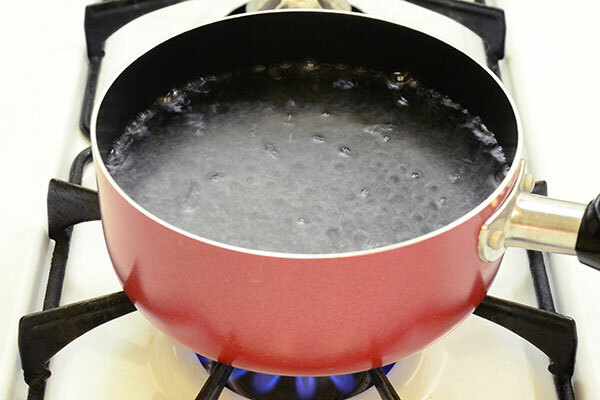 In a medium sauce pan, boil water (not included in the ingredients list). 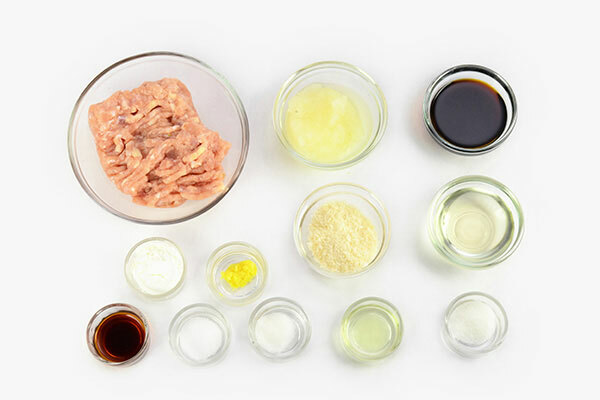 Slightly wet hands to keep meat from sticking to your fingers and divide mixture into 21. Shape each into a 1 inch diameter meatball. 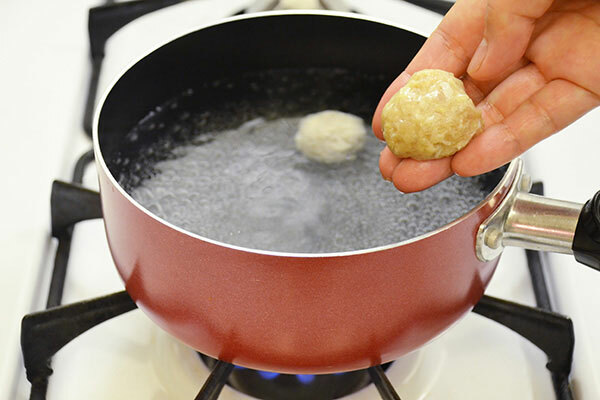 Carefully drop into boiling water as you shape them. 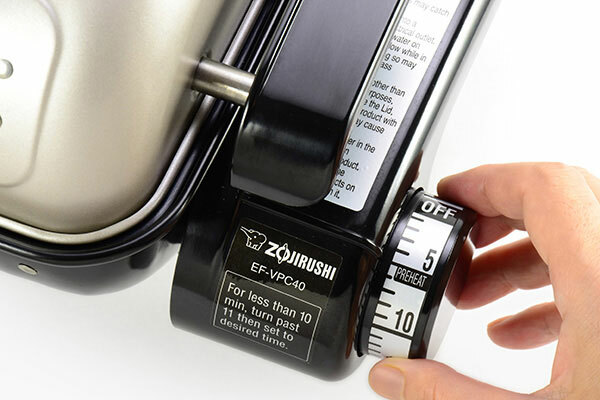 Cook for approximately 1 minute. 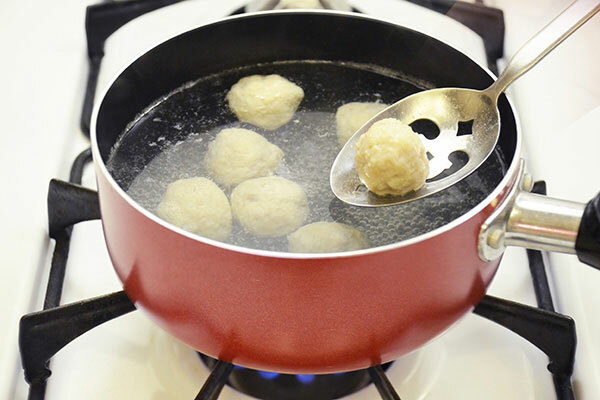 When meatballs bob to surface, transfer to a plate. 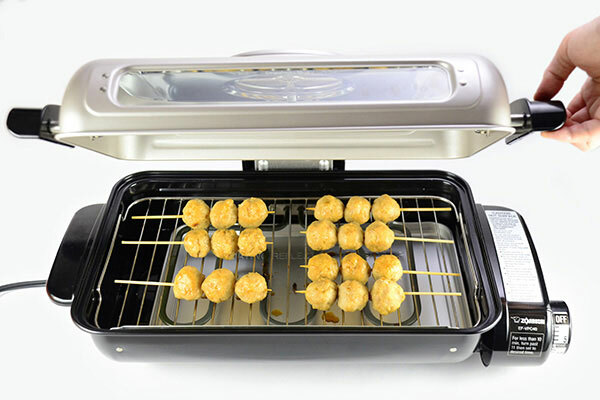 Add water to the Fish Roaster’s water tray, set rack to the standard height and preheat for 5 minutes. Thread 3 meatballs to each skewer. 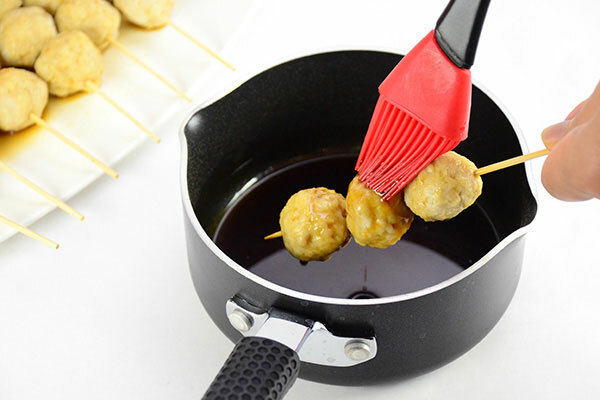 Brush half of the glaze on the meatballs. Reserve the remaining glaze. Oil the rack with a brush (Be careful of the hot lid and rack.). 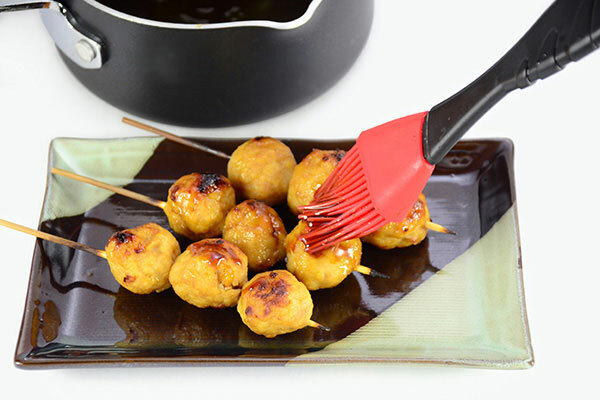 Place meatball skewers and cook for 10-12 minutes or until surface turns brown. Plate skewers, brush top with remaining glaze. Serve while hot.